Ask our travel consultants to assist you with finding the perfect spot to stay in Camps Bay. We are itching to assist you! Don't pay a fortune to intermediaries when booking your Camps Bay accommodation. On this page we have listed all the options, with direct links to their websites. We recommend staying at POD or Atlantic House. With its beach which is semi-sheltered from the southerly winds, restaurants and nightlife, Camps Bay is a favourite amongst holidaymakers. 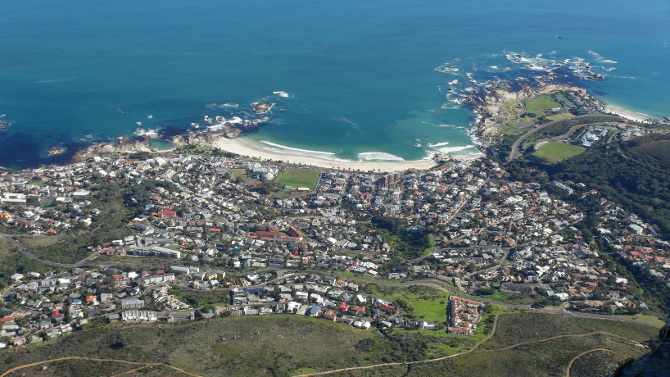 This page includes a list of hotel & guest house options in Camps Bay (Cape Town). To check prices, use the hotel price comparison tool on the right. 2 June 2013. The 12 Apostles Hotel is voted the best service hotel in Africa by Travel & Leisure Magazine. 8 April 2013 - the PepperClub is being changed into a new hotel on the Camps Bay beachfront...can't wait to see what arises. You've got to stay at POD when you visit Camps Bay because of its proximity to the beach, restaurants & bars. POD is a small hotel with 15 rooms. Ask for a Deluxe Suite with a view of Camps Bay Beach (there are also suites with private plunge pools if you prefer that). The only caveat is that because it's so close to the beach road, the traffic can be fairly noisy, and that some of the views are obstructed. Avoid rooms on the ground floor, as they don't have a view. Biker riding around Camps Bay- before you go do that, note that the chap doing it is part of the Camps Bay patrol so can go to places the general public aren't allowed in. A directory/list of the official contact details of hotels in Camps Bay (email address, website, phone number and fax number). If your establishment is not listed, email us with your details and a suitable date to come and review your spot. The Atlantic House is a great option, unless you want to be really close to the beach (Atlantic House is a 15 minute walk away). Enjoy time taking in the view in the lounge area at sunset. Make sure you get a room with an ocean view. 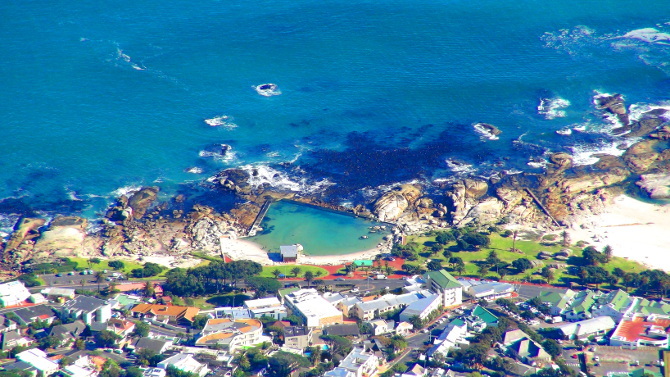 The Bay Atlantic Guest House is a few minutes walk from the Camps Bay beachfront. For best views make sure you get either the Atlantic Room, the penthouse suite (has a private balcony) or the Bay Room. Sunsets are amazing. After completing your day trip, lounge about on the deck chairs at the pool. When we dined at the Twelve Apostles Hotel & Spa, a gent at another table proposed to his lady - it's that type of place. If you're just going for a meal make sure you do it during daylight hours, as this spot is all about the views of the sea (especially sunsets). Ask for sea-facing room or even better a corner room, so you can see the ocean and part of the mountain (although rooms facing the sea also overlook the main road). Go to the hotel's Leopard Bar for sundowners. 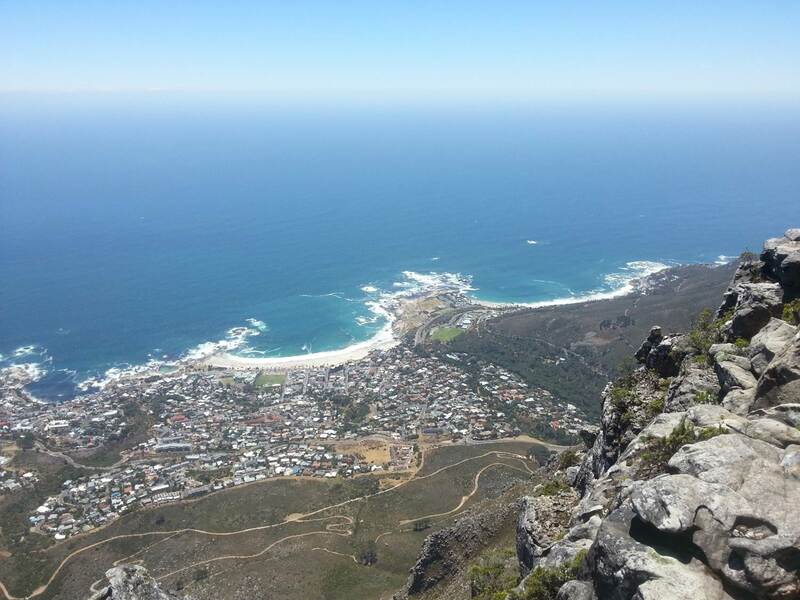 It's a good base from which to spend time at Clifton, Camps Bay and Llandudno Beaches; as well as heading to Hout Bay to the World of Birds and go for a boat trip to seal island.